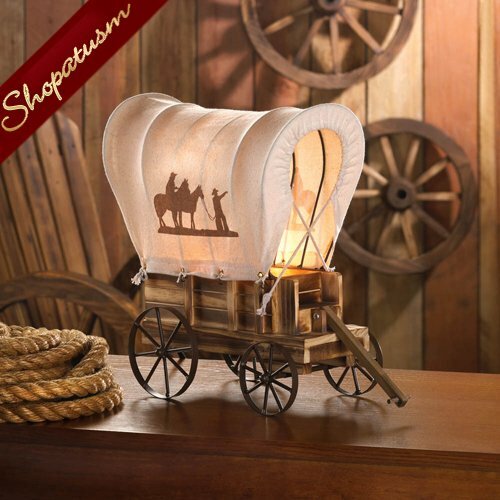 This is for a western tabletop wooden wagon table lamp nightlight from Shopatusm. Follow the wagon trail to discover the most charming lamp on the prairie. 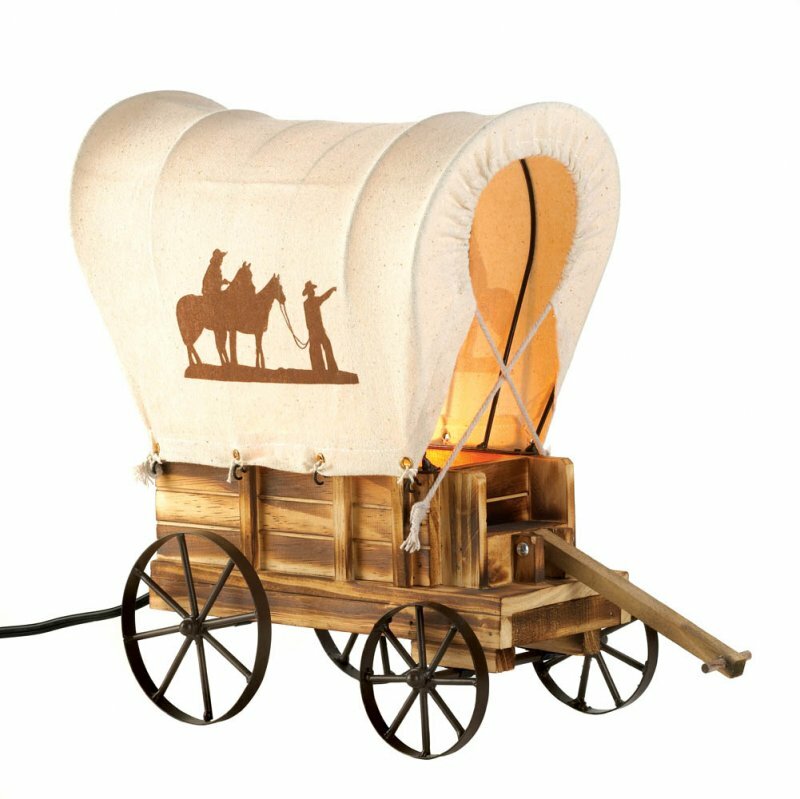 This tabletop wooden wagon lamp features metal wheels and a wagon cover with silhouettes of cowboys and horses. Item weight: 2.4 lbs. 12 inch x 6 1/4 inch x 13 3/8 inch high. Wood, iron and fabric shade. Type A, maximum Watt 40 light bulb not included. UL Recognized.